hand had mostly green ones. 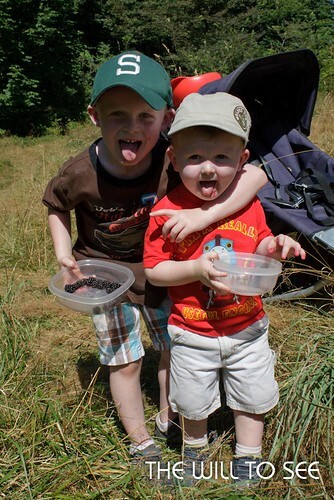 They enjoyed sampling the berries and wondered if their tongues were black. I got to make a great blackberry crisp. Yummy!